Expressive dolls modeled on doll maker's daughters and nephew were the favorites at £1 million Bonhams auction in September 2014. 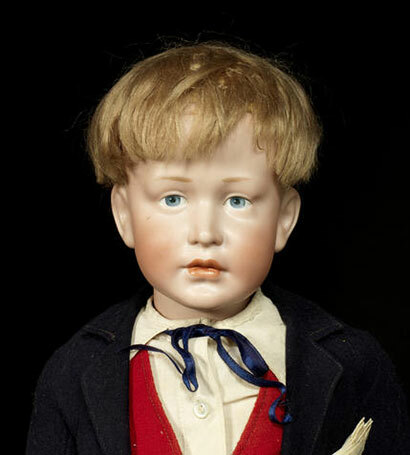 The collection offered a unique array of antique dolls, portraying real children from the 1909-1912 period. Kammer & Reinhardt dolls dominated the auction. The top three lots sold for double and triple their estimated prices. 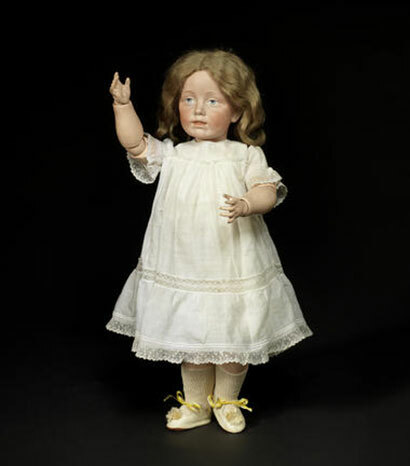 A rare and unique antique character doll broke the world record for any doll ever sold at the Bonhams, Knightsbridge auction for £242,500. 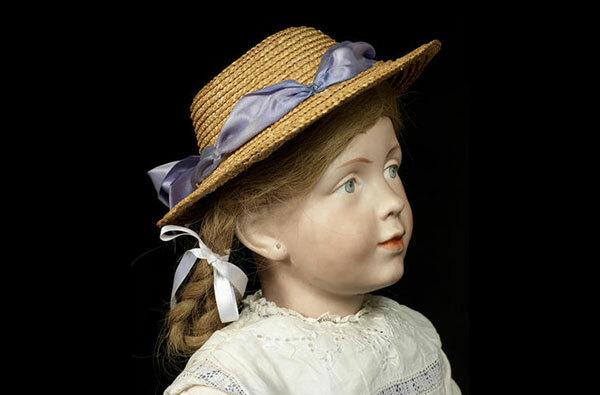 The extraordinarily life-like little girl doll was made by German doll-manufactures Kammer & Reinhardt. She wears a white dress with lace sleeves and a powder blue ribbon sash which matches her finely painted blue-grey eyes. A delicate straw hat sits on top of her auburn, plaited hair. This doll has unique pierced ears and a more adult expression than the other dolls, capturing a striking portrait of a young lady. No other example of this doll is known. It is therefore possible that she was an experimental mold. This extremely rare and unique Kämmer & Reinhardt 108 bisque head character doll features a well molded pale bisque head with finely painted blue/grey eyes with darker outer line to iris and red inner corner dot, white dot for reflection and painted upper eye-lid, single stroke brown eyebrows and closed slightly smiling mouth with shaded lips, two small red dots for nostrils and pierced ears, having auburn wig in two plaits with white ribbons. The eight ball jointed wood and composition body has swivel wrists and a voice-box. The antique doll is dressed in a white pin-tucked and broderie-anglaise cotton dress with lace cuffs, and with pale blue ribbon detail and sash, white cotton petticoat, bloomers and straw bonnet. 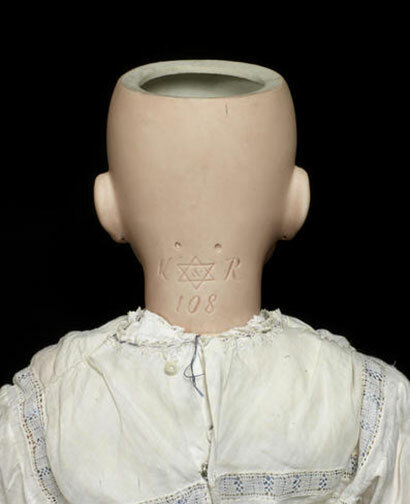 A beautiful bisque head doll by Kammer & Reinhardt, with a white cotton dress and light brown shoulder length hair, sold for £170,500 against £40,000-60,000 estimates. 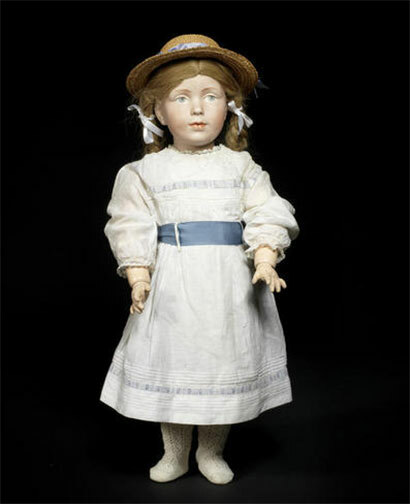 The artist Professor Lewin-Funcke designed dolls for Kammer & Reinhardt and this doll was modeled on one of Professor Lewin-Funcke's four daughters. The antique doll was noted as Girl 'friendly'. The execution of the moulding and painting is truly beautiful, particularly to her square chin and superbly painted open/closed mouth with suggestion of a tongue. 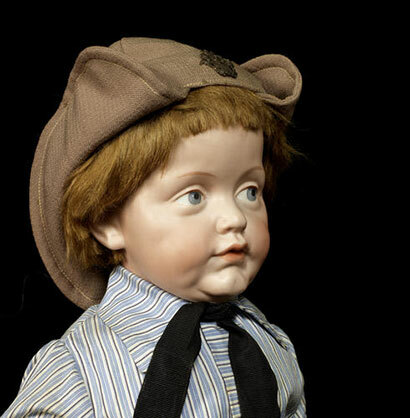 A 'Heinz' character doll of a young boy in a blue shirt and a brown hat, also by Kammer & Reinhardt, sold for £115,300. Heinz is modelled after Professor Lewin-Funcke's nephew Heinz Burkowitz and is probably the most expressive in the 100 series of character dolls, with his deeply moulded features, prominent double chin and dimple, his puckered and rather endearing expression typical of a young and slightly mischievous child. The antique doll has short brown auburn hair and a fully jointed wood and composition body, wearing original grey pantaloons, blue striped shirt with white buttons, black neck-tie, leather belt, brown hat and leather boots. The Thurungia region of Germany is famous for the high quality of its natural clay deposits and it was this clay that allowed the Kammer & Reinhardt German doll-makers company to produce delicate bisque dolls. In the early 20th century the doll industry was awash with German mass produced pretty faced dolls. 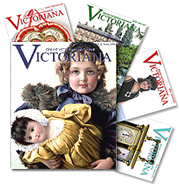 At this time, intellectual circles began to take an interest in child psychology and this had a profound effect on the design of dolls. Manufacturers decided it was time to produce and market dolls that had expression and realism, taking their inspiration form true life models. 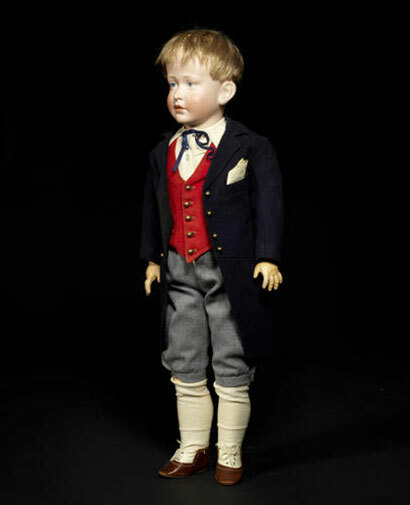 Leigh Gotch, Head of the Toy Department at Bonhams, commented: "The collection offered a unique array of dolls, portraying real children from the 1909-1912 period. A collection such as this has never been seen in one room before. The rarity and high quality artwork of these dolls is reflected in the world record breaking prices achieved at Bonhams today."